Salford Red Devils Foundation are reviewing the successes of the amateur rugby league season and one of the positives is the South Trafford Raiders. The club is now in its third season. After a slow start Trafford Raiders finished on a high. The Under 14’s in a Thrills in the hills-Raiders triumph at league leader’s Saddleworth. At halftime we were loosing 10-6 with a last ditch effort in the final minutes of the game scoring a penalty conversion to come out with a 17-18 victory. Friday 13th of October Salford Red Devils were invited to the South Trafford Raiders annual presentation evening, the first of its kind. 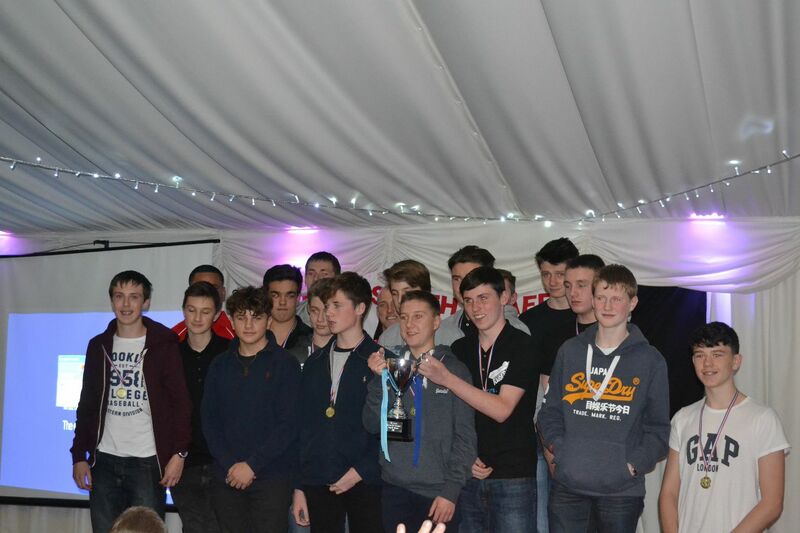 The evening was held to celebrate the successes of the club. This season not only did we introduce an under 13’s development squad but 9 different players were approached by Superleague clubs to play for scholarships. Special thanks to Michael Dobson and Wellar Huraki who came to support the event and took part in a Q&A session. Well done to all players from all age groups! Successes off the pitch would not have been possible with out Peter Brookes (Team Manager), James Bleazley (U13s Coach/Manager),Tim Martin, Andrew Mullen and Daressa Frodsham for all their hard work. Also our new sponsor Assura! We now have a brand new Under 13’s kit ready for the new season to begin in March 2016. Assura do a lot of fundraising with the Salford Red Devils Foundation and we are very lucky to have them as a sponsor.